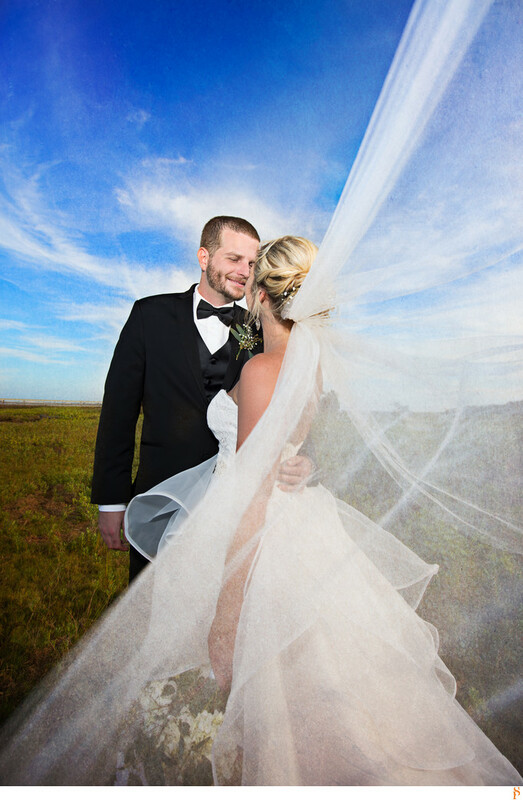 The bride and groom wanted to create some photos by the St Johns River at the Ribault Club at Fort George. The sky was blue with the perfect amount of clouds. We decided to play with the cathedral veil that the bride had.